Welcome to Portugal! Your guides will meet you in Oporto for a transfer to the UNESCO town of Guimarães. On a guided tour, learn about the major events that took place here in the 12th century and lead to the birth of an independent nation, as evidenced by the inscription “Aqui nasceu Portugal” (“Portugal was born here”), which can still be seen in the city’s old wall. Then it’s off to our hotel for a light lunch followed by a bike fitting and safety talk. Our first ride will take us through Vidago’s verdant countryside before we return to the hotel for dinner in the Grand Ballroom restaurant. Breakfast will power us up for today’s ride to the town of Chaves, just south of the Spanish Galicia border. Pedal into the heart of Trás-Os-Montes, which translates to “Behind the Mountains”—an area that was long isolated from the rest of Portugal and remains largely undiscovered today. With the option to hop in the van for this morning’s first section, set out from our hotel for a climb shaded by century-old sycamore trees. We’ll stop in the charming mountain town of Boticas, then continue past small valley hamlets and family farm plots. 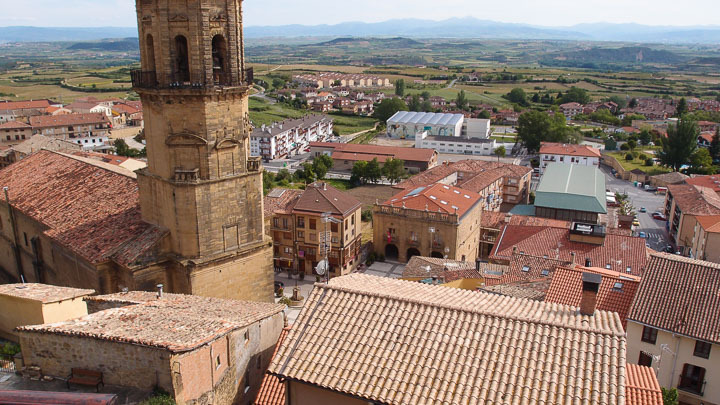 Descend into Chaves, once the frontline of the Portuguese defense against Spanish incursion, and enjoy lunch in the city’s historic downtown. Ride or shuttle back to our hotel where the afternoon is yours to lay out by the pool or enjoy the spa. Tonight we dine at an authentic family restaurant, sampling rustic sausages and smoked ham with the family’s simple but delicious wines. 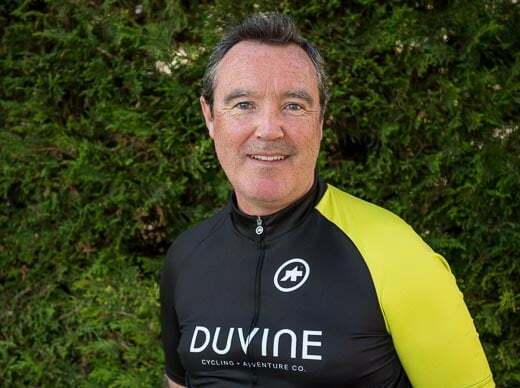 Today we ride south towards the Douro Valley and our destination in the riverside wine town of Pinhão. 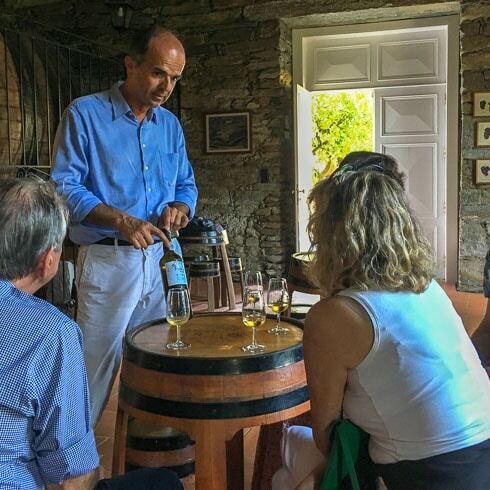 Whether you choose to begin pedaling from our hotel or start further out from the mineral-water village of Pedras Salgadas, the destination is the same: we’ll reach Casa de Mateus, a Baroque 18th-century palace famously depicted on bottles of locally produced rosé wine of the same name. 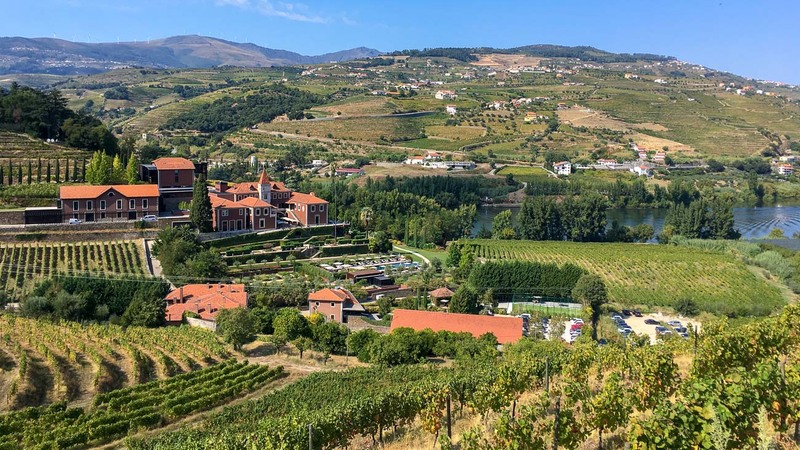 After lunch, cut across the northern ridge of the upper Douro before an exhilarating descent through charming hamlets and hillsides rippled with terraced vineyards. 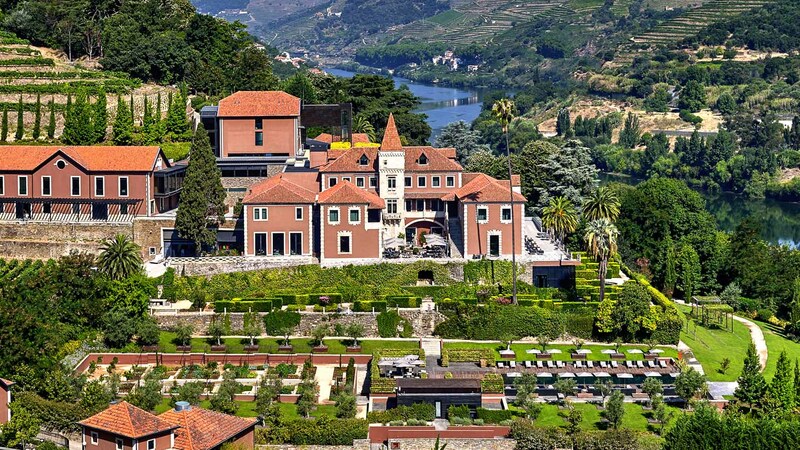 Our final stretch brings us to the majestic Douro River and our hotel for the night, located right on its banks. This afternoon, choose to lounge by the pool or head into town to shop for wine at the local boutiques. Tonight we’ll dine at our favorite historic quinta, a Portuguese wine estate. Our meal is paired with the estate’s own voluptuous red table wines and finished with a glass of vintage Port. 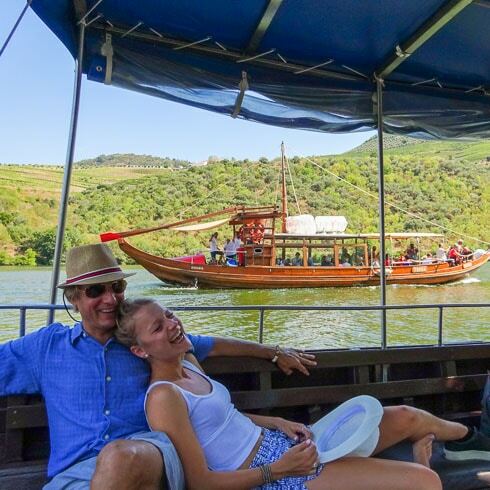 This morning we step straight from our hotel grounds aboard a traditional Rabelo boat and embark on a river cruise up the Douro. Mother nature has done her part in this UNESCO-protected valley, providing an exceptional climate for ideal winegrowing conditions. But the human element of engineering is impossible to ignore, with vineyards hand-carved out of the schist over hundreds of years. 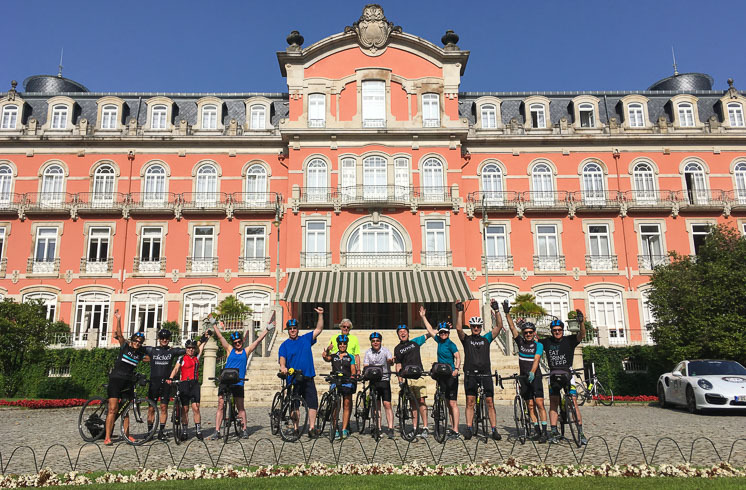 After lunch in on dry land, it’s time for an afternoon spin along the Douro’s riverbank to the town of Peso da Régua and our magnificent hotel for the next two nights. This evening you’re free to dine on your own; choose a trendy wine bar or a tasquinha (tavern restaurant) in town, depending on your mood. Today’s ride promises to be our most challenging—but not without its rewards (or the option to fall back on the support van). Pedal to the city of Lamego, first following the upper banks of the Douro overlooking the river below. 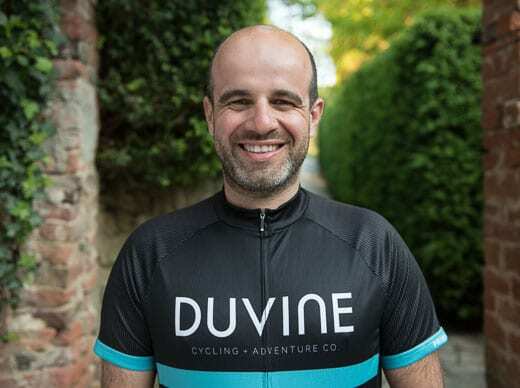 Tackle a steep section, then turn inland for a gradual climb up sinuous vineyard-sided roads above the river valley. It was here in Lamego that the Bishop of Braga crowned the first King of Portugal, Afonso Henriques, in 1140. 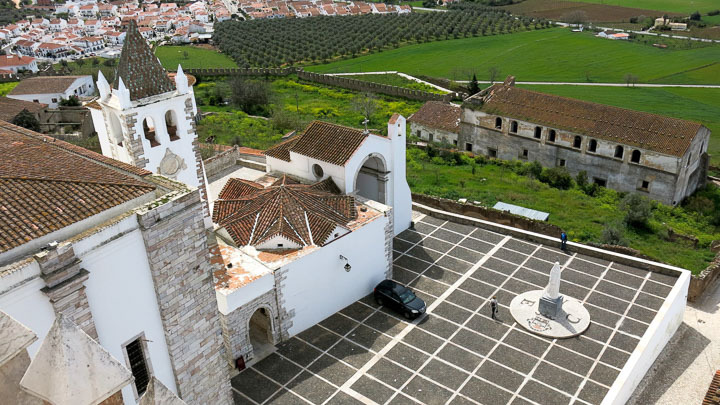 After a light lunch at a wine bar in town, we’ll stop at Our Lady of Remedios and climb its zig-zagging staircases that mirror the region’s twisting vineyards, then visit Lamego’s cathedral, Our Lady of Assumption. 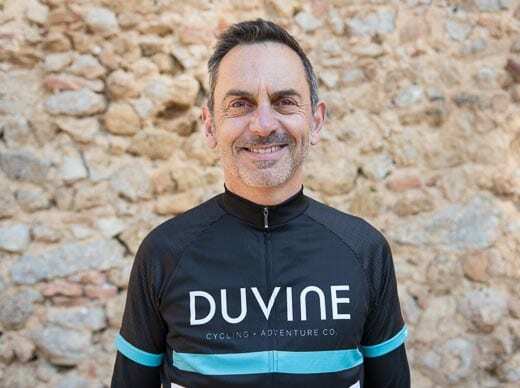 Opt to keep riding the triumphant final descent back to the Six Senses or hop in the van and spend the afternoon beside the hotel’s tranquil pool. Our final dinner together takes place at the hotel, complete with an apéritif of crisp white Port wine and a gastronomic feast designed for us by Ljubomir Stanisic, known as a revolutionary among Portuguese chefs. Our adventure has come to an end. Extend your journey a little longer with a night or two downriver in Oporto, or our guides will transfer you to the Oporto airport to continue your travels.